Last week was a busy week in the studio with writing tenders for clients, articles for newspapers and attending a new meet up in Cambridge Mob Happy. Mob Happy has a really different vibe. It’s a meetup for marketing agencies and freelancers that tackles the kinds of business questions that can keep many of us up at night. Questions such as when should I recruit someone? 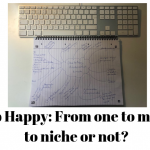 Should I niche or stay with a broad offering? If I niche should this be on functional areas or sectors? Last week we discussed the subject of niching and relative pros and cons of this. Don’t just turn the wheels on your event marketing this year, kick it into touch with a Marketing and Design Event Package from Brick Marketing. Don’t just turn the wheels on your business’ marketing this year, kick it into touch with a free marketing review and fresh creative ideas from Brick Marketing. When I first decided to start up Brick Marketing, I promised that I would not turn into one of those marketers that didn’t keep up to date. I promised myself I would continue to learn, develop, network and train. With GDPR less than two months away many marketers are busy with their GDPR plans, making sure that they are well on the way to compliance. However, with the new ePrivacy laws hot on our heels it is worth making the changes to your sign up forms that take account of both pieces of legislation. Without strategy content is just stuff & the world has enough stuff. So for every piece of content ask yourself what, why and for whom. When we are in the thick of it with deadlines looming and tasks to complete it’s all too easy to forget about the importance of aligning our marketing activities to the marketing funnel and simply focus on getting our daily tasks completed. So last night was a great opportunity for Brick to run a workshop on this very subject. The workshop was based on some research that we carried out a few months ago with a sample of B2B and B2C marketers and was hosted by the Chartered Institute of Marketing and University of Bedfordshire. LinkedIn is regarded as the largest social network group of professionals and colleagues. By following simple best practices you can use this network to your own and your business’ advantage. Like all social networks it offers a great way to grow audiences and build communities so you can start to showcase your products, services, skills and industry expertise. It is like a “virtual business exhibition” so as a rule of thumb when you are thinking about content and behaviour on LinkedIn, think about how you should behave in these environments. Despite new technologies coming out all the time, the UK still loves Radio. Recent research suggests that 48.7 million adults or 90% of the adult UK population tune into their selected radio stations per week. So why aren’t more marketers making use of this medium as a channel to communicate and engage with their target audience? Having moved from the corporate side of working to setting up my own consultancy it is all too easy to end up being so busy that you don’t have time for your own business development – sound familiar? Which is why Brick Marketing decided to sponsor the Linton Fireworks Display this year. I recently read a series of articles about mumpreneurs, their contribution to the economy and their approach to flexible working. What was interesting was that without fail every article talked about the negativity connected with this name and then continued to talk about the amazing, inspiring things that these women had achieved whilst also managing the lion share of the childcare. This inspired me to find out more from women who happened to be mothers and run a business to find out how they got started, how they keep themselves motivated, manage their time and how they felt about being mumpreneurs. My first meeting was over a cup of tea and a delicious scotch egg handmade by Esther Bickerton of The Kitsch Hen. In my spare time i am involved with a small female choir who sing at a number of events in the Cambridge area including this mini festival, Hendstock. One of the interesting elements to this festival for me is how the power of a small event can not only raise so much money for a charity but how they can start to attract sponsorship and commercial interest. Six years ago David and Hayley Donnan organised a small garden party to celebrate the life of their close friend Ian Hendry. Now in it’s sixth year the event is attended by over 300 invited guests, has over 24 acts, has raised over £5500 for Meningitis Now and attracts sponsorship from some of the big brands in the Cambridgeshire area. We have all been there, staring blankly at a blank piece of paper or screen having been tasked with coming up with the blogging schedule. 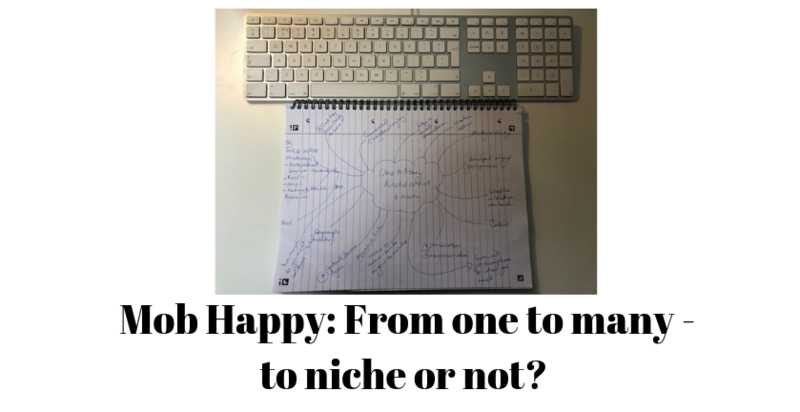 However once you get started it’s amazing how many things you can write about which gives you the next headache – who is going to write them – but that’s another blog! Here are some tips to get you started that we have gleaned from our own experience and from reading other inspiring blogs. Great content but no imagery? We all know that imagery is key in marketing right back in the days when leaflets were everywhere and you picked up a brochure to your social media or web imagery – it creates that initial impression and compels people to consume your content. However using a graphic designer can impact your budget and may not always be necessary for some digital content.